Another band that time forgot, hailing from a locale that I sometimes suspect likewise of, Mobile, AL (Ok, that one was very below the belt.nbsp; My apologies to all the Alabamans in the audience, I simply couldn't resist). Suffice to say, I can't enlighten you with very many details on this alternating trio/quartet who contain within their ranks a guitarist that coins himself as Self Abuse.nbsp; [URL=http://www.discogs.com/artist/2223925-DD-Ranged]Discogs[/URL] categorizes D.D. Ranged as "punk," but I part ways with that classification.nbsp; Then again, I have yet to encounter the two full lengths that preceded this ep, The Fold and Unfolded.nbsp;nbsp; As for the record I'm sharing tonight, D.D. 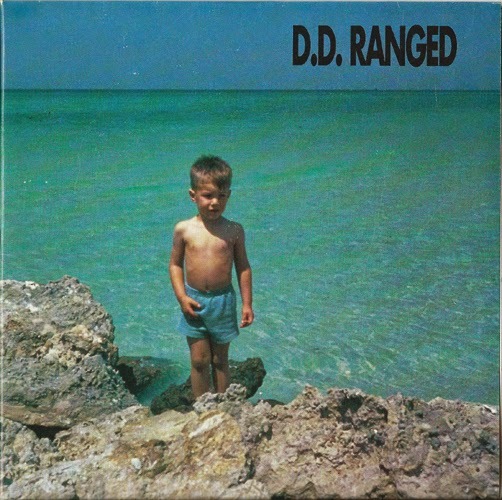 Ranged are a scruffy looking lot with earnest indie-rawk aptitude that's not far off the mark from left-off-the-dial contemporaries like the Libertines USA, Alter Boys and Bleached Black.nbsp; Nothing too aggro here, and all the better for it if you ask me.nbsp; Spiffy gatefold packaging on this one as well.nbsp; Would love to hear those earlier albums and whatever else may exist by these lads.nbsp; Comment as you see fit.